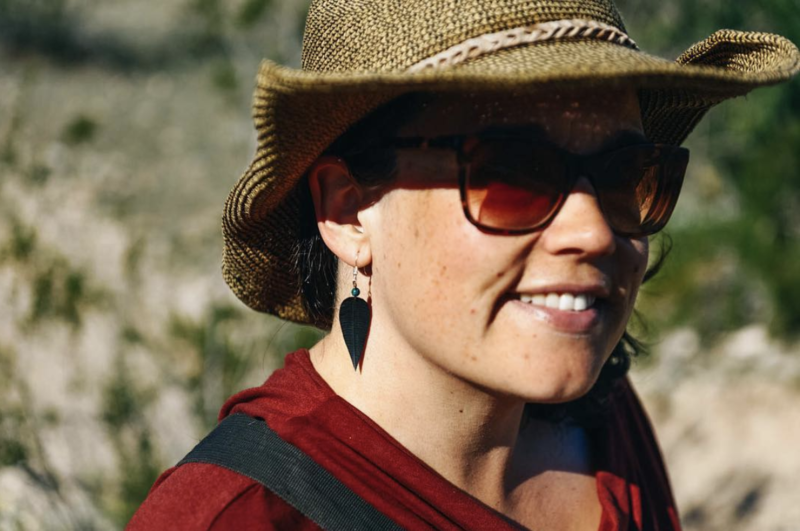 Catherine is an adventurous and enthusiasm-driven woman. For the last 4 1/2 years she's lived in a big red bus with her partner and their three daughters who are now teenagers. 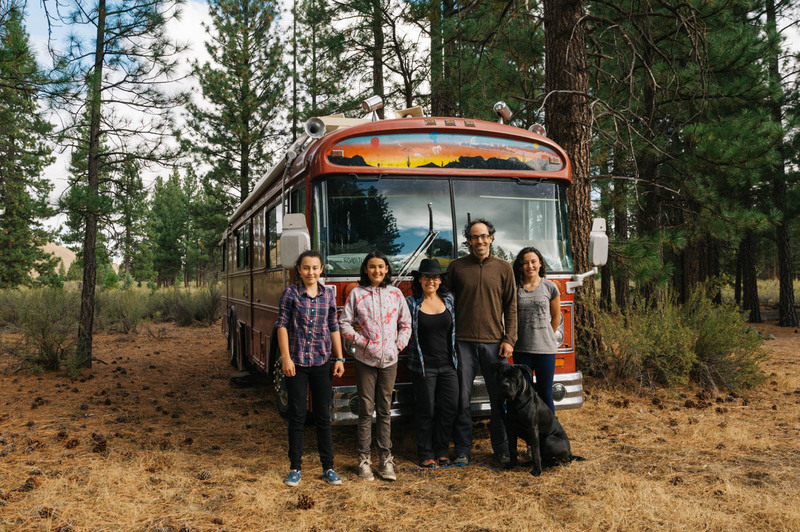 Her best memories from childhood are of camping with her father in the family's Westfalia. The same Westfalia that Catherine's family now pulls behind their bus/home as their "vehicle". Years ago Catherine and her partner J.F. 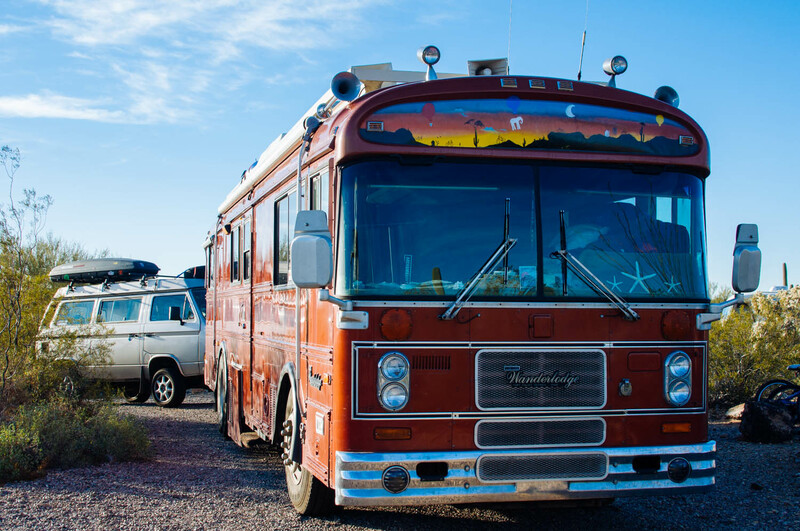 made the conscious decision to pursue an active, outdoors, and on-the-road lifestyle because they wanted to create for their own children the memories they loved best from childhood. Living this way, on the road, on the move, in sunny places, makes them happy. Catherine lives her life as a response to this question. And in doing so she challenges others, simply through her example, to reflect on their own decisions. Catherine and I cover a lot of territory in this interview, quite literally, discussing her family's extensive travels through the years. 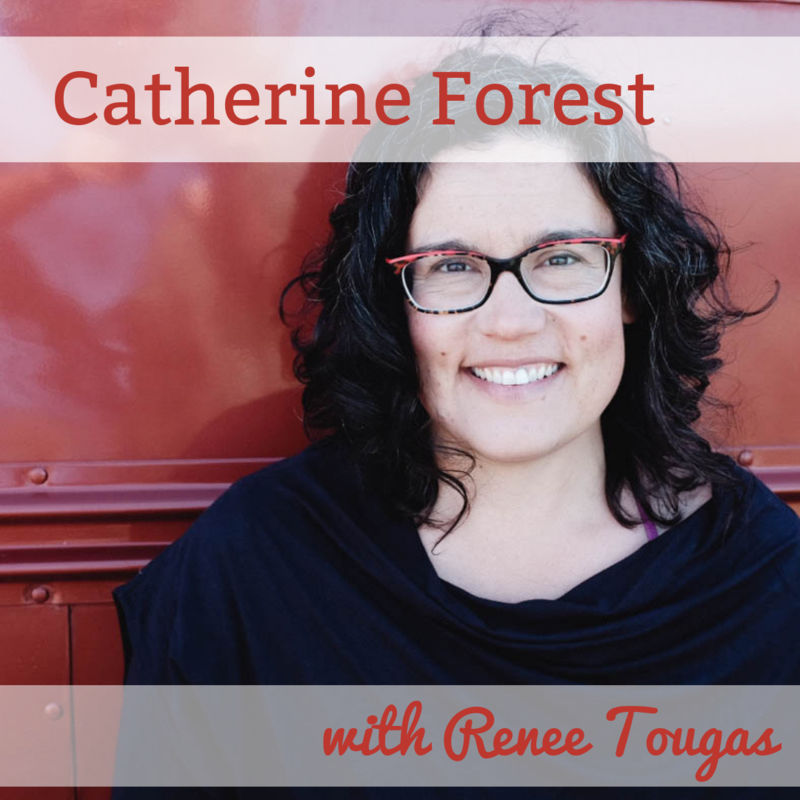 For me, the gift of this interview is the heart-to-heart connection as we discuss our deepest desires for family life, the challenges and joys of homeschooling kids from preschool through high school, and our shared commitment to personal growth and well-being. Catherine is passionate about free learning and providing a stimulating, experience-rich, and loving home environment for her girls. 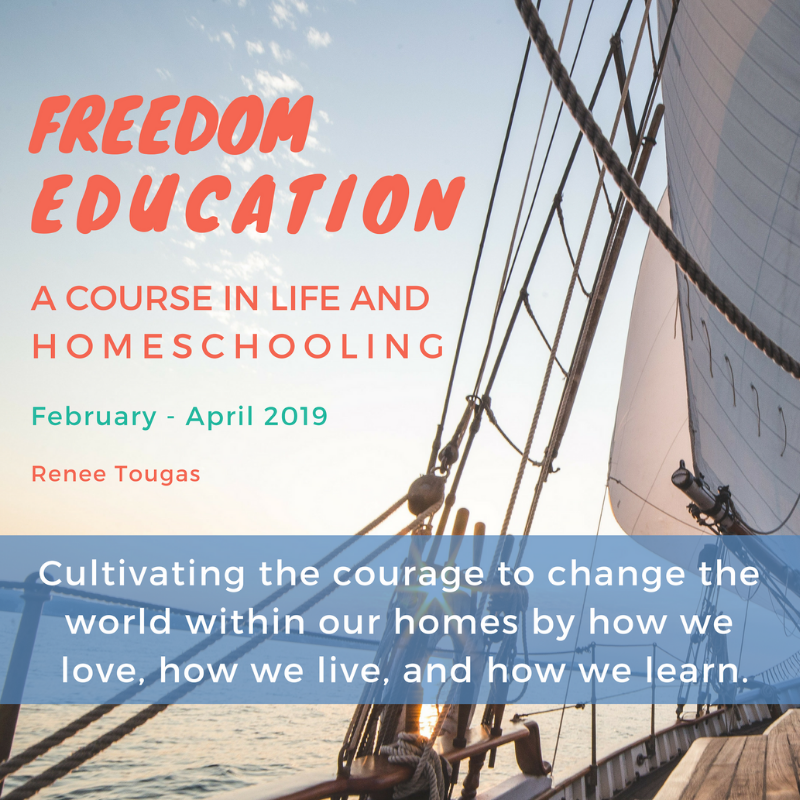 Her homeschool philosophy and practice has evolved through the years in a way that will resonate with all parents who have learned that children change, we change, circumstances change; and our job in parenting (and homeschooling) is to allow the growth and opportunities that come from those changes. We build a home. We steer the ship of our family life. We listen to our kids. We respond and find solutions. We figure things out. We try things, sometimes we fail. We love each other. We lighten up, mostly on ourselves. We let go. We learn what we need to thrive. We teach our children to do the same. This is an interview about parenting. About knowing our kids, listening to them, responding to their needs. It's an interview about self-awareness. Understanding and knowing our own needs, and acting on that knowledge. Including where we live, how we earn a living, how we spend our time. And it's an interview about what happens in our lives when these two things don't align. What do we do when there is a conflict of interest? A conflict of desires in our homes? Catherine and I would tell you we're still figuring that out! But it's a conversation worth having and both of us are committed to staying present for the uncertainties, unknowns, and discomforts of that journey in our own families. Join us in the interview where we talk about the dreams and desires for family life, knowing ourselves and our people, and living with authenticity and enthusiasm. Every month I release a podcast episode for my Patrons where I explore the big ideas in the everyday lives of extraordinary ordinary people. This month's interview is with Catherine. The podcast is a benefit for my $5/month Patrons and is also included in the Freedom Education course just getting started at Patreon at the $20/month tier. Tomorrow will be our first course video. Sign up today and have immediate access to all previous podcast episodes as well as Freedom Education content.